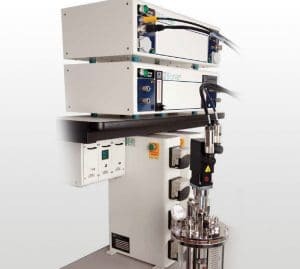 A networked PD lab bioreactor automation system can dramatically improve PD lab productivity, increase experimental run success rate, reduce requirement, and significantly enhance data packages for technical transfer and scale-up readiness. Obtaining more complete data up front (in the PD lab), and prior to large scale Pilot Tech Transfer and Clinical/Commercial Manufacturing, can significantly reduce the number of large scale engineering runs and conformance campaigns. Significant return on investment (ROI) can be realised immediately. Additionally, the PD lab can be aligned with regulatory agency (FDA, EU) initiatives such as Quality by Design (QbD) and Process Analytical Technologies (PAT).